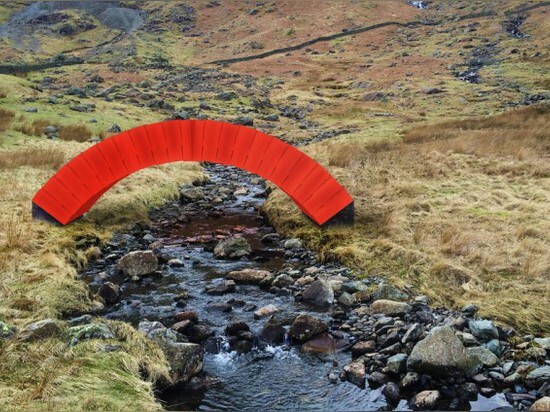 British artist Steve Messam is known for his striking, temporary landscape installations. 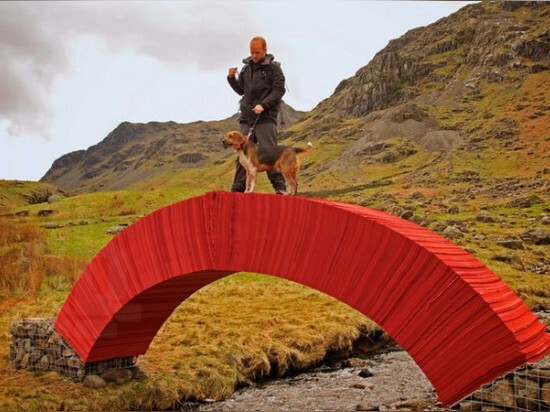 Most recently, the artist completed PaperBridge, a crimson footbridge made from 20,000 sheets of paper. 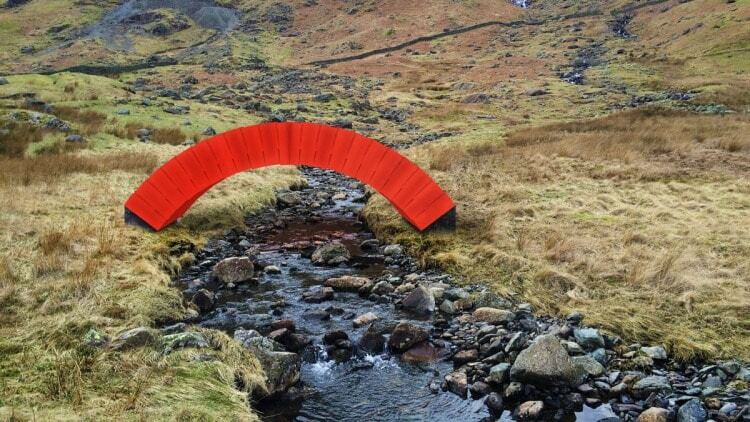 Currently open to the public, the bridge spans a babbling brook in the Grisedale Valley of England’s Lake District. Two footpaths lead up to the bridge on either side, making it look as if the temporary structure is a permanent fixture. 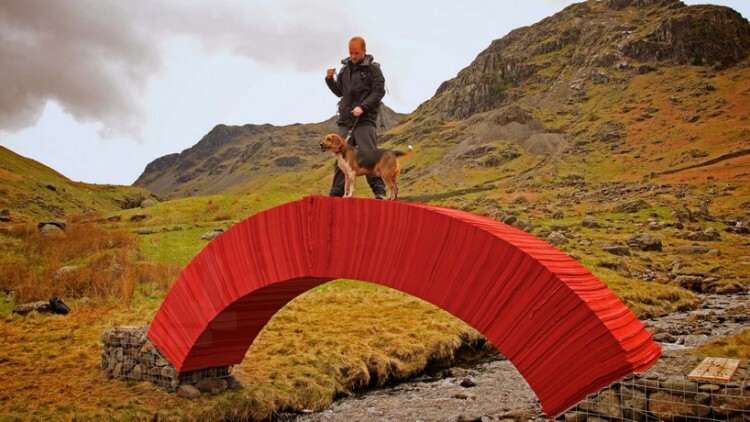 No glue, screws or other materials went into the creation of the bridge. 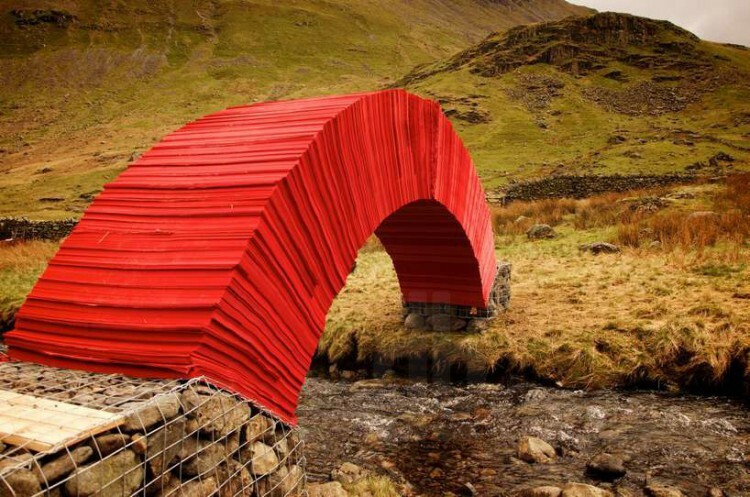 It is constructed using traditional architectural practices as applied to local elements including drystone walls and the original pack-horse bridges of the area. Three years in the making, the bridge was tested for all possible structural hazards including rain. 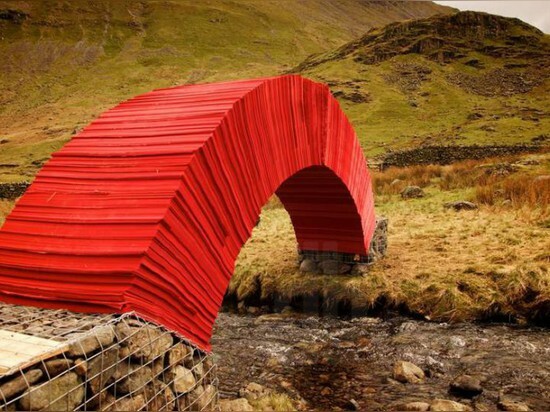 All of the paper was created by the Burneside Mill, a local paper mill that is able to create vibrant paper while maintaining strict environmental standards. All of the paper from the installation will be retrieved at the end and returned to the mill for recycling. 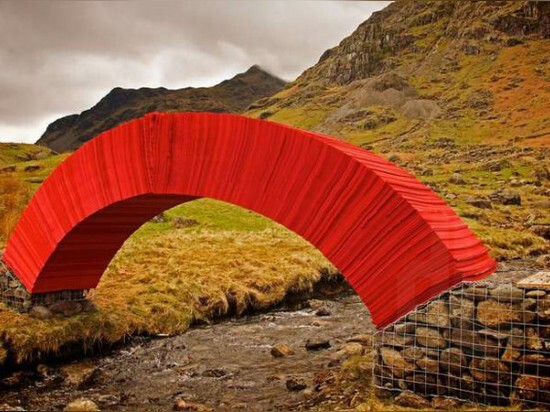 Like temporary architecture? 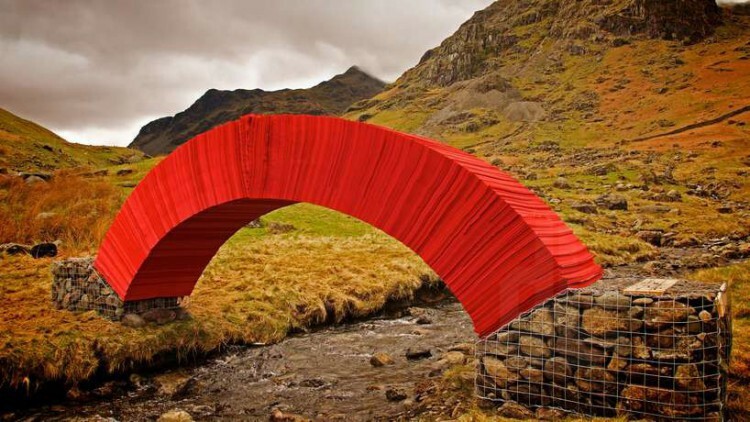 Check out more ephemeral works of art in the ArchiExpo e-magazine!